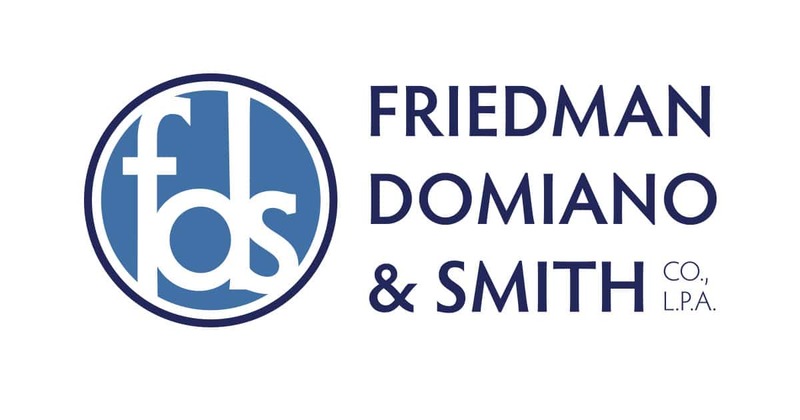 Read what our former clients are saying about working with the legal team at Friedman, Domiano & Smith. Doctors aren’t always right, and they certainly got it wrong in my case when they dismissed and ignored my symptoms. When my heart attack was left untreated, the doctors’ mistakes nearly killed me. I’m glad I turned to Friedman, Domiano & Smith. Your team guided me through this legal battle and helped me get restitution. I trusted a nursing home to take care of my mother. Her calls for help were ignored and she passed away as a result. Nothing could bring her back, but Friedman, Domiano Smith helped me get justice in the wake of her death. Your team treated me like family and my case against the negligence at the nursing home was a success thanks to your legal expertise. A car turned right in front of my motorcycle causing an unavoidable accident. When the driver’s insurance company rushed to offer a settlement, I wasn’t sure what to do. The lawyers at Friedman, Domiano & Smith advised me of my rights and were able to obtain more extensive compensation for my injuries. Thank you for your guidance and kindness during an overwhelming experience. My son lingered in the hospital for over two months after being struck by a vehicle that pulled out in front of him. The driver was not charged and he denied responsibility. Friedman, Domiano & Smith pursued the case against the driver and helped my family recover for the wrongful death of our son. Unsafe conditions at my workplace caused a brick wall to collapse leaving me injured and unable to return to work. Worker’s Compensation didn’t even come close to covering my losses. Your team at Friedman, Domiano & Smith went above and beyond to help me attain compensation beyond what Workers Compensation paid. I can’t thank Friedman, Domiano & Smith enough for your guidance and sensitivity through our lawsuit. Our son was injured during his birth because of a doctor’s mistake. Your wealth of experience in this area made us feel at ease and able to focus on the most important thing: our son. I lost all the fingers on my hand when it was crushed in a machine at work. Proper safety equipment could have prevented this and my permanent disability. Your lawyers were able to prove that the company I worked for had required me to work under hazardous conditions and that these conditions resulted in my injury. I was awarded a large settlement to help my family survive into the future. Thank you, Friedman, Domiano & Smith.